Lately, for perhaps the last five or so years, I have had the oddest feeling that I have been living in a country occupied by an implacable enemy bent on demoralizing and fundamentally changing this country as much as possible. It’s silly, I know, but Sarah Hoyt has been having somewhat similar thoughts. We’ve talked about this before, but in fact, I don’t think there has ever been a country like ours, where our elites are deliberately taught – in our best schools – to hate and despise everything that we are, everything that makes us unique. I don’t think there has ever been another country where our elites are taught to be ashamed to call themselves by our national name. Or rather, there have been countries like that – but they were countries who’d lost a war, and where the governing elite were in fact puppets of their erstwhile enemy, sent in to utterly destroy what the country used to be and to make sure that it did not rise again and (maybe) next time win the war. Did we lose the cold war? Well, of course not. Of course we didn’t. The Sov Union fell apart. Their internal economy was a shambles – communism does that – and they are suffering the fate of the defeated in a material and obvious way. The name for prostitute in most of Europe (and the Arab countries) is Natasha. Their population is crashing. Their men are dying of alcoholism and internally they are being taken over by a hostile minority. Ignore the invasion of Georgia, those are the spasms of the dying bear. It’s inevitable, in material terms to be aware that when it comes to the si devant Sov union the applicable Latin phrase is Vae Victis. But here’s the thing – long before communism had lost the cold war, it had won the propaganda war. Part of this was their saber rattling and the craven and raw nature of our intellectual classes. Craven because they know themselves to be weak. Dueling with your mind might be an exciting sport – it is, I know, I do it – but it avails nothing when confronted by thugs with hobnail boots. Most of those who labor in the vineyard of words find themselves utterly naked and defenseless in even the most minor physical confrontation. (Note, I said most, not all. I would not advise you to pick a fight with most of Baen. Even myself and Dave Freer who are relatively mild put bite into any fight – he, because he’s a devious bastage and I say that in the most profound affection [if I ever govern anything he’ll be my secretary of dirty tricks. The man has no bounds.] and I because I’m built like a tank and I berserk.) So they both turn coward – and justify it in big words – by cleaving to the people they think are going to invade and kick their butts. Now it’s Islam, but once upon a time it was communism; and they glorify and have a sort of hard on for violent sorts. Hence, their worship of that despicable, blood tinged psychopath, Che. And they were really scared of communism. It also made sense in their minds – communism, I mean – as it can only make sense in the minds of people who live in the sheltered world of academia or the irrational world of art. And so… they turned. Now many of these people, from the president on down seem to be running things. I wonder again, where do all of these people who seem to hate their own country really come from? Why do they have such hatred for one of the freest and most prosperous countries the world has ever known while idolizing the cruelest, most blood thirsty tyrants. Are they really cowards, or simply fools? Maybe there should be some sort of psychological study done of this phenomena. I gather that the Obama campaign has decided on “Forward!” for their slogan. Considering that Obama’s policies are rapidly taking us to fiscal Armageddon, perhaps the Romney team should use “Back Up” for their own slogan. And, it would seem that Forward! has a Communist Origin. The Obama campaign apparently didn’t look backwards into history when selecting its new campaign slogan, “Forward” — a word with a long and rich association with European Marxism. “The name Forward carries a special meaning in socialist political terminology. It has been frequently used as a name for socialist, communist and other left-wing newspapers and publications,” the online encyclopedia explains. The slogan “Forward!” reflected the conviction of European Marxists and radicals that their movements reflected the march of history, which would move forward past capitalism and into socialism and communism. The Obama campaign released its new campaign slogan Monday in a 7-minute video. The title card has simply the word “Forward” with the “O” having the familiar Obama logo from 2008. It will be played at rallies this weekend that mark the Obama re-election campaign’s official beginning. There have been at least two radical-left publications named “Vorwaerts” (the German word for “Forward”). One was the daily newspaper of the Social Democratic Party of Germany whose writers included Friedrich Engels and Leon Trotsky. It still publishes as the organ of Germany’s SDP, though that party has changed considerably since World War II. Another was the 1844 biweekly reader of the Communist League. Karl Marx, Engels and Mikhail Bakunin are among the names associated with that publication. I guess that when your political mentors are Communists and domestic terrorists, it is only natural to use an extreme left-wing campaign slogan. In the last century, science has made great strides in understanding the world. For the first time in human history, scientists seem to have uncovered the basic laws that the universe runs on. There are however many mysteries not yet understood by science and perhaps they never will be. These include; how salmon can return to the stream they were spawned in, what lies in the middle of a black hole, and how can seemingly intelligent and progressive people be duped into supporting the most evil regimes in history. 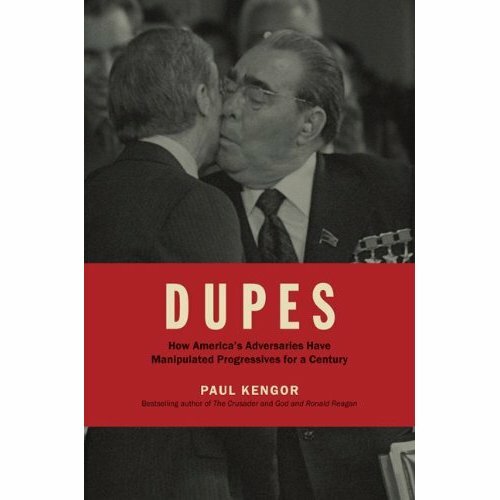 Paul Kengor does not attempt to answer that question in his book Dupes: How America’s Adversaries Have Manipulated Progressives for a Century. Instead, he reveals the history of those dupes who often unwittingly contributed to the Communists efforts against their own country, and often against their stated ideals. We see the strange story of men and women who have fought tirelessly for civil rights in the U. S. justify the most horrendous human rights abuses done in the Soviet Union and other Communist countries. Kengor is no mere red-baiter. 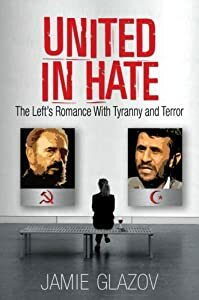 He carefully distinguishes between actual members of the Communist Party of the USA, sympathizers who never actually joined the party, and well meaning dupes who helped the Communists without realizing it. His facts are backed up with careful research, including from the Soviet Communist archives, which were briefly opened for study after the fall of the Soviet Union. Some of the dupes came to realize they had been fooled and tried to repair the damaged they had caused. John Dewey wrote a glowing book on the educational progress made in Russia after the Revolution, only to turn against Communism when he saw that he had been lied to during his visit to the Soviet Union. William C Bullitt was a radical who learned the truth while ambassador the Soviet Union and tried to warn President Roosevelt, who was a dupe, that “Uncle Joe” Stalin simply could not be trusted under any circumstance. Another dupe was a young actor named Ronald Reagan who joined a front organization. His experience with Communist deceit eventually served him well as president. Unfortunately, all too many dupes never realized that the Communists were using them in the most cynical fashion. One might think that this history might be interesting but irrelevant to the present day. After all, Russia is no longer Communist, and although a Communist Party rules in China, they do not seem to be following the teachings of Marx any more. However, as Kengor points out, too many of these dupes remain dupes and continue to give aid to America’s enemies, providing excuses support for Islamic radicals. Also, there is a certain politician who has connections with left-wing radicals like William Ayers and Hawaii Communist Frank Marshall Davis, who just happens to be president. Is Barak Obama a radical, a sympathizer, a dupe? 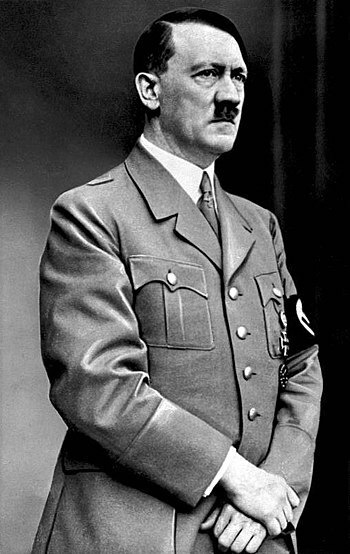 Who knows, but it is certain that many dupes and worse think of him as one of their own. I highly recommend this book to anyone interested in the history of the Cold War, and especially to liberals. If there is any lesson the liberal or progressive needs to learn from Dupes, it is that the Communists were never the progressives’ friends, only their useful idiots.